Each year, Norway awards licenses for offshore oil and gas development. Typically, these are covered mainly in the specialist media, but this year was more controversial after the country’s energy minister argued that the environmentally sensitive Lofoten islands “must at some point come into play”. Lofoten is a unique and stunning archipelago in Norway’s far north, where huge unspoilt mountains rise out of the ocean. Located at the end of the Gulf Stream, it’s unusually mild for somewhere beyond the Arctic Circle. Large coral reefs found to the west of the islands mean that the region’s cod-filled waters are protected by domestic laws and international conventions. Despite the energy minister’s comments, no licences were actually offered immediately next to Lofoten – this time. 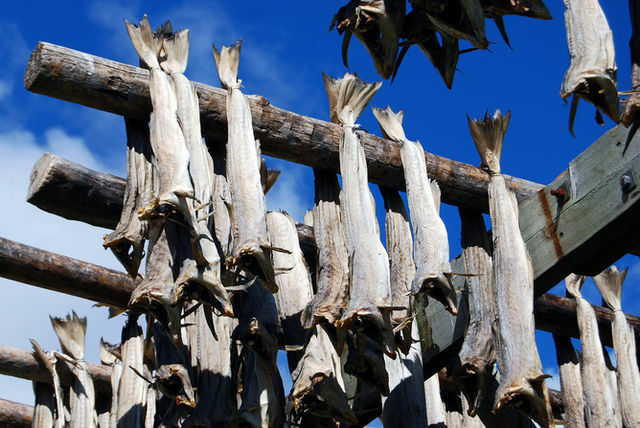 And those that were offered in the region were all further from Lofoten than the closest existing one, which is around 70km (42 miles) from the southwest edge of the islands and is operated by state-owned Statoil, who are yet to start drilling. Nonetheless even the prospect of future development was enough to worry environmental groups , and has led some to question the country’s commitment to addressing climate change despite the 2015 Paris agreement. The collapse in oil prices over the past two years has delayed or cancelled many expensive new projects around the world. Lofoten has emerged as a cheap alternative because the islands are close to the mainland and the surrounding waters are relatively shallow . In 2013, Norway’s Labour prime minister Jens Stoltenberg supported an impact assessment study on development in the area, but following the election that year the new Conservative-led coalition agreed not to drill in these areas, around the protected island of Jan Mayen, or in the so-called High Arctic region. 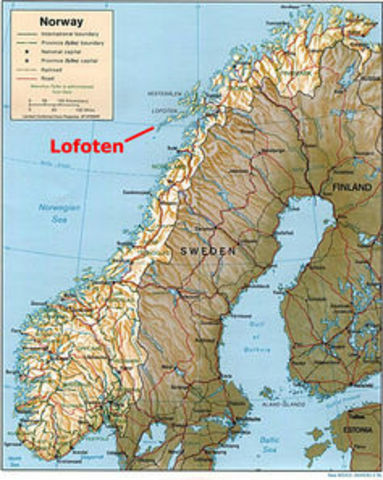 With the Conservatives still in power, opening up Lofoten would represent a backtrack. Yet it’s not just Lofoten. This year’s round of exploration licenses was also notable for the number offered in the Norwegian Sea, 24 out of a total 56 – with 27 in the North Sea and five in the Barents Sea. This is the highest number since the current system was introduced. It highlights the financial difficulties facing oil and gas companies, but also suggests a change in the geography of Norwegian oil and gas development. The next wave of exploration work was long expected to take place in the Barents Sea, off Norway’s northern coast. However the lack of previous infrastructure to build on and some disappointing reports of smaller than expected oil discoveries means the economics there are challenging. This was an issue back when oil prices were riding high, and the drop since then has further dimmed the prospects of developing the Barents. Norway is also concerned about the future of gas demand in Europe. What’s the point of setting up drilling rigs and pipelines in the Arctic if no one wants to buy it? Gas has been caught up in the E.U.’s drive to reduce its dependence on Russian energy, and difficulties with the E.U. emissions trading scheme have so far stymied hopes that it could be the bridging fuel to a predominantly renewable future. In May 2015 Norway’s parliament asked the country’s US$857 billion sovereign wealth fund, Norges Banke, to divest from coal power – a move applauded by climate activists . But less than a year later this latest round of new oil and gas developments has drawn criticism from those who claim opening up new fields will undermine Norway’s commitment to tackling climate change, just weeks after the Paris deal. Even though development at Lofoten is unlikely in the near future, the minister’s comments on opening the area up at some point could be reflective of a wider trend across the world. For all the big talk about fighting climate change, the basic truth remains: future production of oil and gas is central to the Norwegian economy, while the E.U. will still want a secure supply of these fossil fuels – especially gas. Joseph Dutton is an associate research fellow at the University of Exeter’s Energy Policy Group, working on the politics of U.K. and European energy policy interactions.